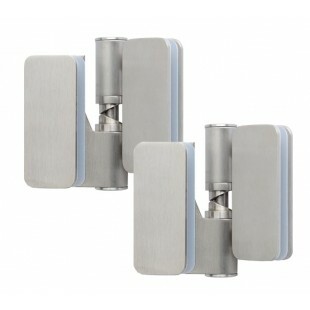 These contemporary glass hinges are captive and suitable for fitting onto a glass cubicle door. 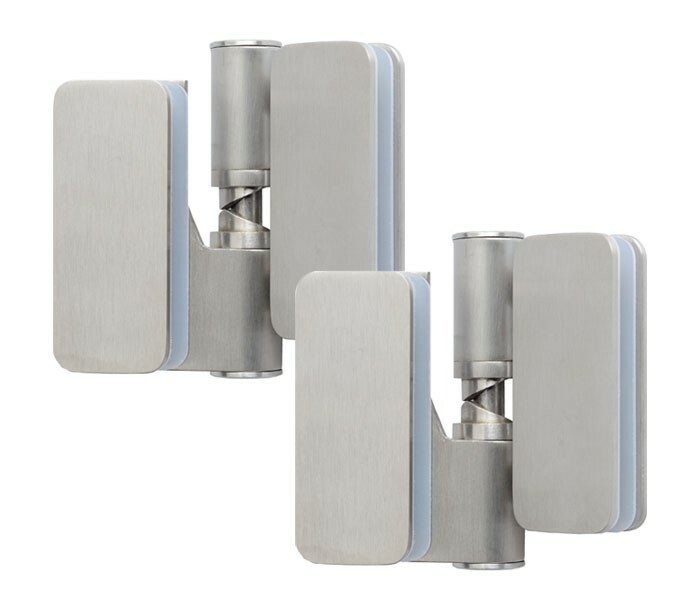 Manufactured from superior grade 316 satin stainless steel, these hinges are suitable for use in wet areas such as communal washrooms and spa environments. Thecubicle hinges are supplied as fall closed and can be adjusted to fall either open or closed as required.To adjust to fall open, remove small grub screw in the bottom of the hinge with the Alan key supplied then rotate the bottom nylon cam in body of hinge round to the next hole and finally tighten the grub screw. 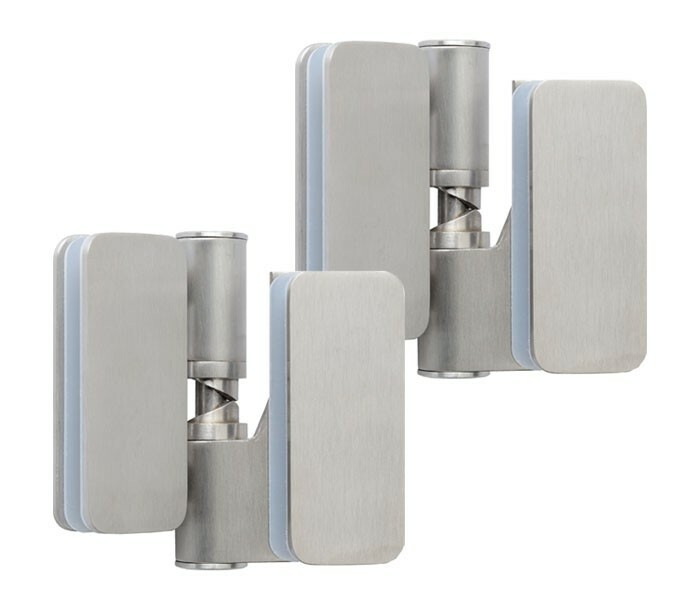 Our glass hinges are sold in pairs and include the required patches for fitting, to prevent damage occurring when installing this product onto a glass door. 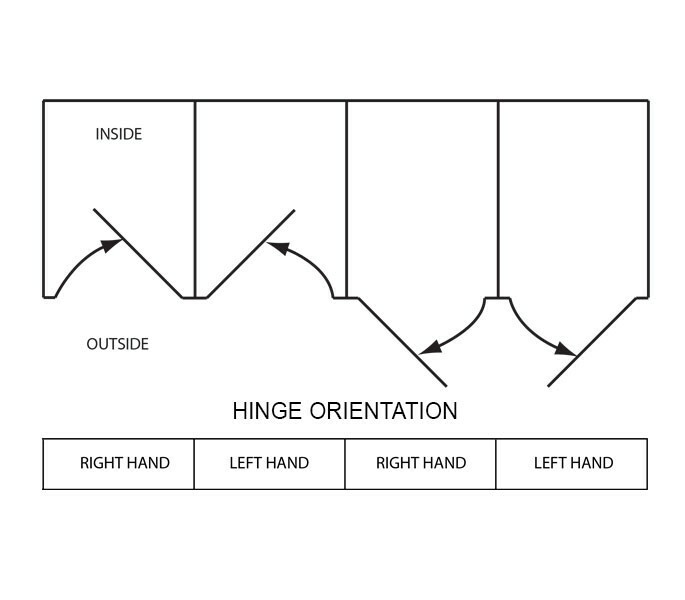 Please note that these hinges are handed so please ensure you choose either the left or right-handed orientation as required when ordering.